Christine Hamori, MD, FACS, to speak about aesthetic enhancement of the labia and present a simplified classification system for labial protrusion. Massachusetts plastic surgeon Christine A. Hamori, MD, FACS, is an invited expert presenter at the internationally renowned F.A.C.E. 2 F@ce Aesthetic Congress taking place in Cannes, France, September 9-10, 2016. Dr. Hamori’s presentations will be Friday, September 9th in the Acajou II Auditorium. She will discuss her simplified classification system for labial protrusion as well as aesthetic enhancement of the labia majora with autologous fat known as “labial puff” enhancement. Dr. Hamori will also act as co-chair with Dr. Red Alinsod discussing energy based devices in aesthetic gynecology. In Session V she will discuss the extended wedge labiaplasty technique. For additional information on the Face2F@ce Congress, visit http://www.face2facecongress.com. Dr. Hamori is highly regarded by her peers for her special expertise in Cosmetic GYN treatments having performed hundreds of labiaplasty surgeries as well as many non-surgical labial puff rejuvenation treatments. She presents at plastic surgery conferences on labia surgery techniques and outcomes and is published on vaginal rejuvenation topics in medical journals. A graduate of Tulane University School of Medicine (MD), Dr. Hamori completed her surgical residency at Boston University, where she was chosen to be chief resident during her 5th year. She then completed a plastic surgery residency at University of Pennsylvania. 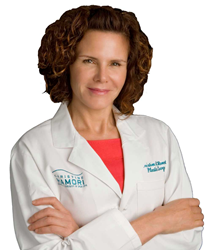 To view descriptions of Dr. Hamori's full listing of both surgical and non-surgical offerings, visit her practice website at Christine Hamori Cosmetic Surgery + Skin Spa.